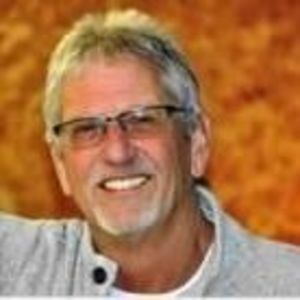 Karl Robert Hamann 61, died Friday, October 27th 2017 at his home in Raleigh, North Carolina. Karl was the son of the late Hans Kermit Hamann. Karl was born in Tribune, Kansas on August 24th 1956 and while he lived many years in Raleigh, North Carolina his heart always remained in Kansas. He is survived by his son, Justin Hamann mother, Kathleen von Hagel and sister, Kristin Lea Hamann Knott as well as many other beloved family members and faithful friends. Karl was special. He could brighten a room with his contagious smile and his very presence. He delighted in the simple joys of life like a wok of fragrant stir fry, the beauty of an approaching storm and most importantly a good harvest. He was humble and treated every person he encountered with a playful kindness that made him approachable and engaging. He loved his family. He loved his God. He was truly special and will be greatly missed. A Celebration of Karl's Life will be held on Saturday, December 2nd at Myers Warehouse in Tribune, Kansas. Details to follow. Please forward pictures of Karl to be included in the event to kristinknott@att.net. A very special thank you to all who cared for Karl through his treatment including physicians, nurses and staff at Rex Hospital and Rex Cancer Center who made him feel so special and his visits almost fun. If led, please make donations to The Rex Cancer Center Angel Fund, 4420 Lake Boone Trail, Raleigh, North Carolina 27607 on Karl's behalf.